Details: All concerts are free admission, with a suggested donation. For full details, visit http://www.reddoormusic.org. An afternoon of incredible jazz! Join us on Sunday, October 14 at 3pm, in the marvelous acoustics of St. John’s Church, for a foot-tapping delight. 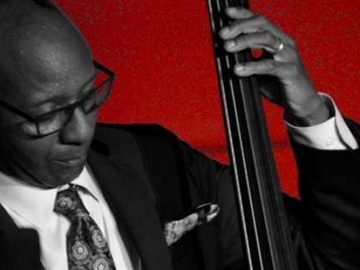 During the past 30 years, Nat Reeves has been one of the top bassists in jazz. His supportive and stimulating playing has uplifted a countless number of sessions and recording dates (most notably with the great altoists Jackie McLean and Kenny Garrett). Both as a performer and an educator, he has made a strong impact on the jazz world.